Three days after CBS Corporation president Les Moonves was accused of decades of sexual harassment, Stephen Colbert had the unenviable task of addressing the allegations leveled against his boss. 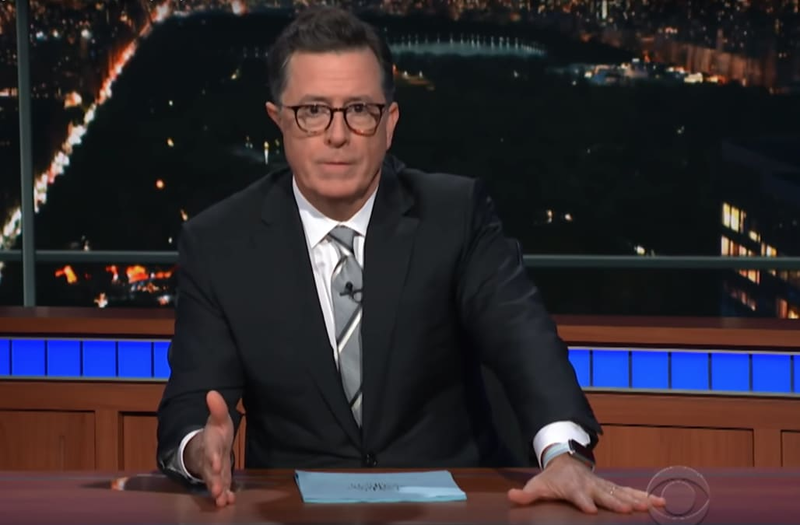 On Monday’s broadcast of The Late Show, Colbert responded to the recent New Yorker investigation, written by journalist Ronan Farrow, in which six women accused Moonves of forcibly kissing, touching and intimidating them between the 1980s and late 2000s. Colbert made light of the New Yorker piece at first, exchanging his coffee mug for alcohol during the monologue after learning the exposé was indeed a legitimate piece of journalism. “Ronan isn’t exactly known for his puff pieces about glamping,” he joked. The host then addressed the allegations against Moonves specifically, remarking that he doesn’t know how CBS will choose to discipline its CEO — nor does Colbert have the answers for how Moonves’ behavior should be handled.